Oasis Park is situated in the town of La Lajita, in the south of the island. You can get here by car or by bus, since the park has its own shuttle that stops at the big hotels on the island. The park is a Zoo combined with a Botanical Garden specialized in tropical and sub tropical plants, cactus plants and also succulents. If you have a rental car you can easily drive to the park from any parts of the island. There is a big car parking available free of charge and also a bicycle stand, for visitors that come here with a bike. If you don't have a car, then you can take the free bus provided by the park. The buses have routs from Caleta de Fuste, Corralejo, Costa Calma, Jandia, Esquinzo and El Cotillo. Check the timetable for the bus on the park's website. Ticket price for the park is 33 € for adults and 19,5 € for children from 4 to 11 years old. It is open 365 days a year. Fuerteventura Zoo has around 3000 animals from 250 species and if you want to feed the animals, for around 2 € you can buy small bags with the appropriate food for each animal. There are 3 shows that happen 2 times a day each, so if you want to see all 3 you should arrive here in the morning. The shows now include The Parrots Show, Sea Lions Live and Birds of Prey Show, which has the most amazing views towards the ocean. If you arrive in the morning the best order to see all the shows and the park is to attend The Parrot Show at 11:15 am, then go straight to the Sea Lions Show at 12 pm and then The Birds of Prey show at 14:30. The shows take around 30 minutes each and you will have time to visit the animals and walk around the Botanical Garden until the 14:30 bird's of prey show. Fuerteventura Zoo is very large and it is a lot to walk around in order to see all the animals and shows. 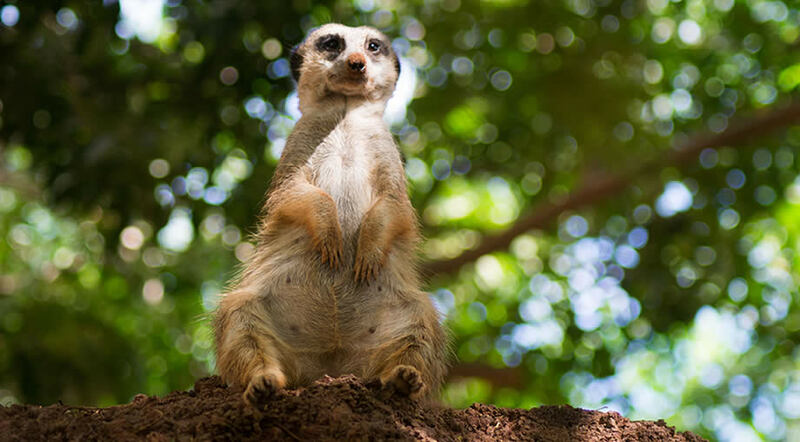 Other things you can do in Oasis Park include Camel Safari, Lemurs Interaction and Sea Lions Interaction, but you will have to pay a separate fee for each of them. On Sundays there is a Agro-Artisan Oasis Park Market which is open between 9 am and 2 pm. The access to the market is free, so you can come here for typical canarian and majorero food and also handmade souvenirs and crafts specific to the island. 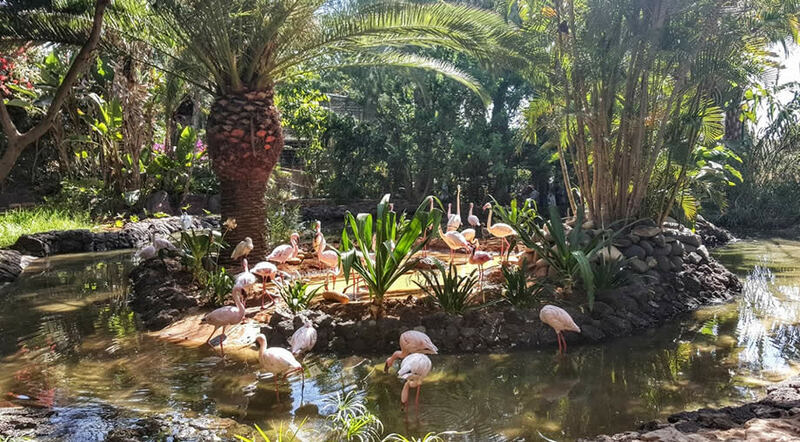 Oasis Park Fuerteventura is a beautiful park to visit, set in a wonderful location and one of the main attractions on the island. Kids will love the place and it is nice a day trip if you are on a family vacation. You should take into consideration that the park is large and it is a lot to walk around, so you should get here in the morning if you want to see everything it has to offer. The park has 3 restaurants available, with plenty of space and tables for the visitors. We chose to eat at El Patio Majorero, the restaurant situated close to the Birds of prey show. The food arrived quickly and we tried the goat meat, hamburgers and also tortilla. It was a fine meal, good quality food for a restaurant situated in a zoo park. It was nice to take a break from all the walking and rest for a few moments.